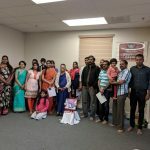 Pleasanton Gopa Kuteeram celebrated their Annual Day event on the Thursday 24th of May 2018 in the premises of Sri Shiva Vishnu Temple in Livermore. 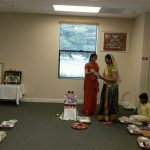 The program was named “Holy Feet Tiny Hands”, where kids were taught to show their devotion to The Divine Couple by offering rose petals to Them as they chanted the Mahamantra. 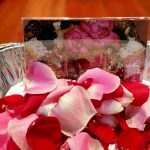 Each child was a given a small picture of our dear “Sri Premika Varadan and Madhurisakhi”, some rose petals, a small box of raisins to be offered as neivedya and a small fan to be used as Chamaram to fan the Divine Couple. 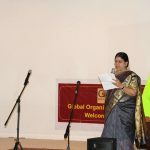 The event started off with “Guru Dhyana” by reciting “Kalaye Sundarakaram” followed by “Muralimandita Karakamalam”. 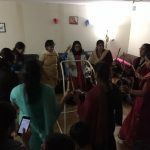 After welcoming the kids, parents and guests, we moved on to a small interactive session where some of the kids sweetly recounted messages that they had learnt/carried over from the various classes we had through the year. 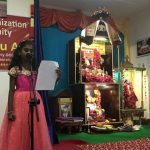 It was lovely to hear five- and six-year olds so lively sharing the stories of Valmiki and Lord Ganesha that they had learnt in the Gopa Kuteeeram classes. 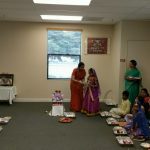 We then had Mrs.Shanthi Subramanian, a fellow devotee in San Ramon talk to kids about what puja is all about. 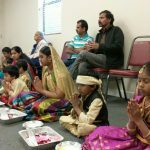 The kids then proceeded to do the puja to their Lord; they chanted Mahamantra eleven times and then recited the VasudevAshtakam as they offered the flowers. 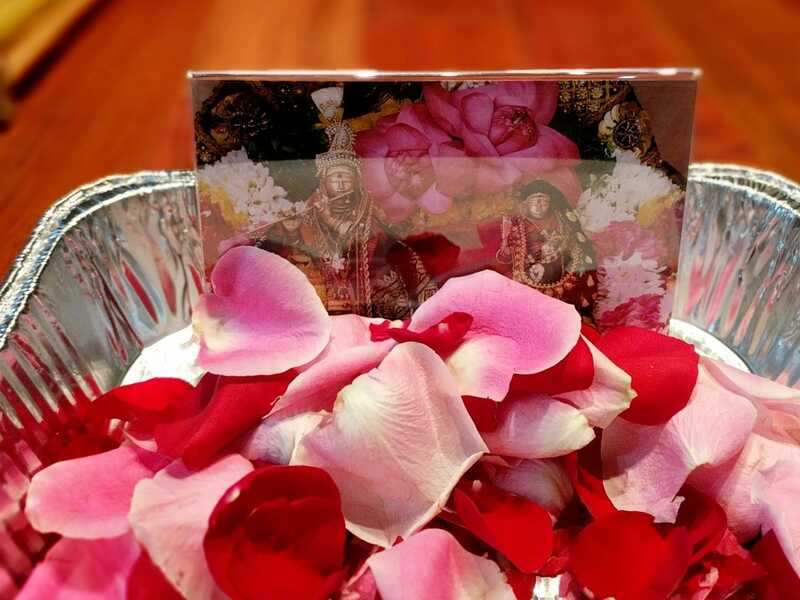 They then offered the raisins, fanned the Divine Couple and the event culminated with Aarati and prostrations. 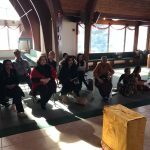 The evening concluded with a Gratitude Prayer. 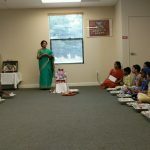 Mrs Shanthi Subramanian talked to the kids about “what showing gratitude is about”, kids were asked to take a minute to think of a few things that they feel thankful for. 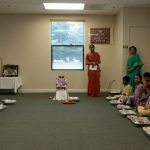 The gratitude prayer ended by chanting the Mahamantra in the 6-3-2 format (saying aloud 6 times, 3 times as a murmur and twice in the mind). 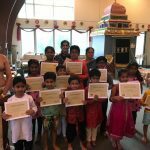 The kids were given certificates and gifts. 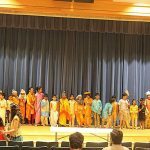 All parents and kids bid good bye looking forward to next academic Gopa Kuteetam year classes.